With a cinched in waist and body-flattering shape, the midi skirt is universally flattering. It's the perfect ladylike piece to add to your wardrobe. With its standout silhouette, this piece is easy to style. It pairs easily with a basic or graphic tee, can be layered over a dress or worn with a statement top. 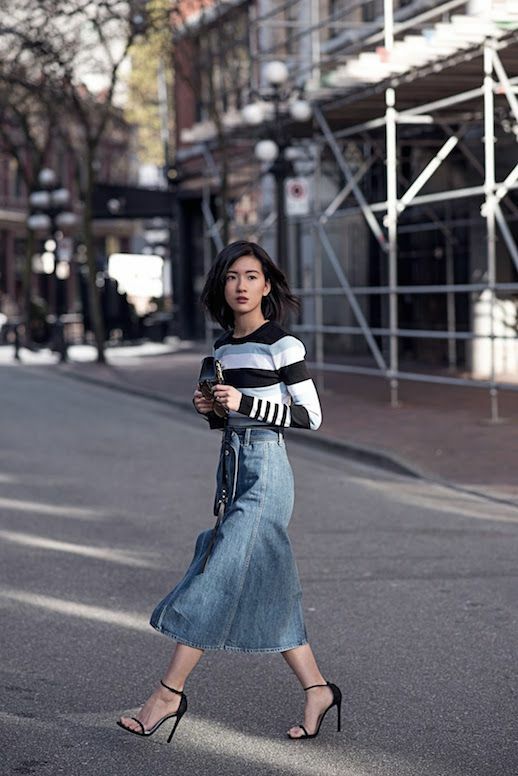 We're applauding how Claire Liu (writer, photographer, and creative director) styled hers with a not-so-simple striped long sleeve shirt, crossbody bag, and classic heels.